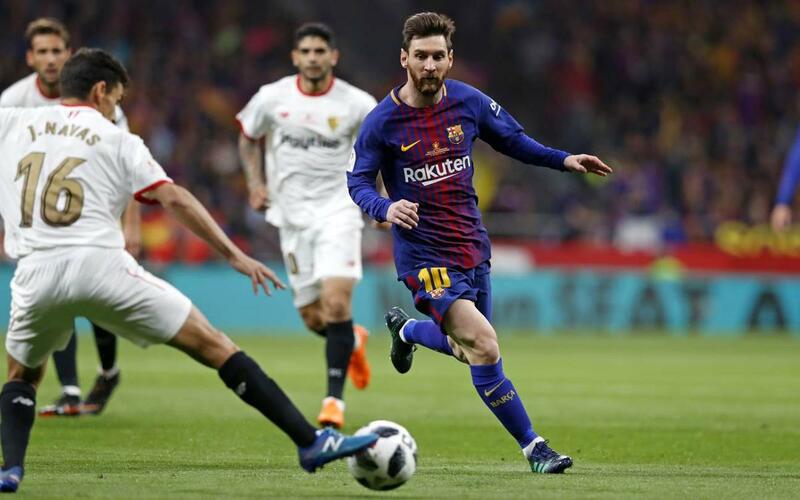 Games between FC Barcelona and Sevilla in recent years have produced some cracking action, and on Wednesday night the two teams go head to head again in what promise to be two pulsating legs of cup football. Curiously, the last two times the sides have met in the Copa del Rey have both been in finals. Barça won both those games, 2-0 after extra time in 2016 and a runaway 5-0 victory in last year’s edition. In 2016, the Catalans were managed by Luis Enrique and the venue was the Vicente Calderón. After the regulation 90 minutes had ended without score, and with Barça playing from the 36th minute without the red-carded Javier Mascherano, and a 56th minute injury to Luis Suárez adding to their concerns, it was very much an uphill struggle. But it all came good in the end, with Jordi Alba netting in the 97th minute and Neymar Jr confirming the win with the very last kick of the game. The teams have met in the different guises of the Spanish Cup a total of 14 times. In addition to the two recent finals, they also crossed passed in one semi-final, three quarter-finals and eight rounds of 16. Barça lead the series with 10 wins compared to just four for the Andalusians, and have a 58-30 goal difference. But the teams have met twice more since last year’s cup final. In the Spanish Super Cup, played as a single match in Morocco due to Sevilla’s European commitments, Gerard Piqué and Ousmane Dembélé turned things around after Pablo Sarabia had put Machin’s side into a early lead. A last minute penalty save from Ter Stegen confirmed the first silverware of the current season for Barça. And Barça also defeated Sevilla, this time 4-2, in a Liga fixture at Camp Nou earlier this season. Messi, Coutinho, Luis Suárez and Ivan Rakitic scored the goals.